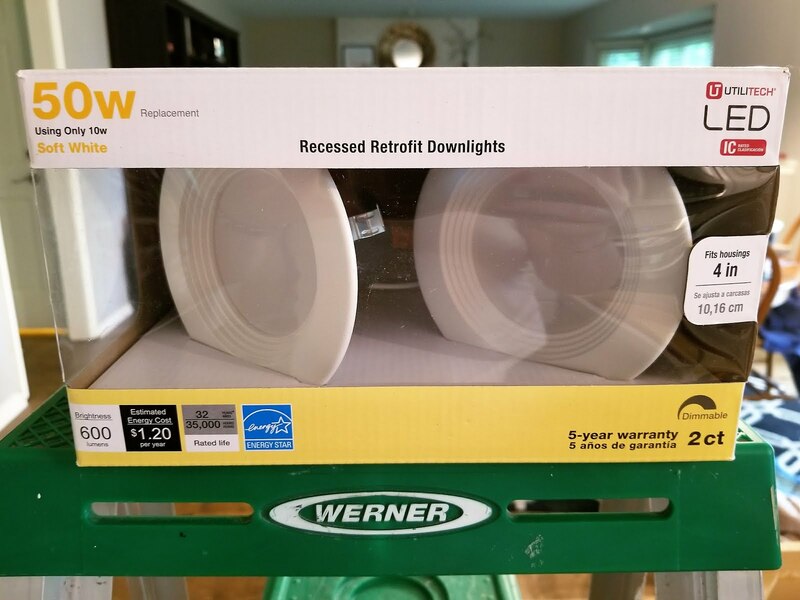 The nice guy at Lowe's gave me a quick run down on how to swap out the lights and then Loren gave me some step by step instructions. BUT! I swapped them all out on my own! I feel pretty accomplished about it, but it truly is super easy. First things first, turn the breaker off for the area you're working on. Then take out all the existing lightbulbs. 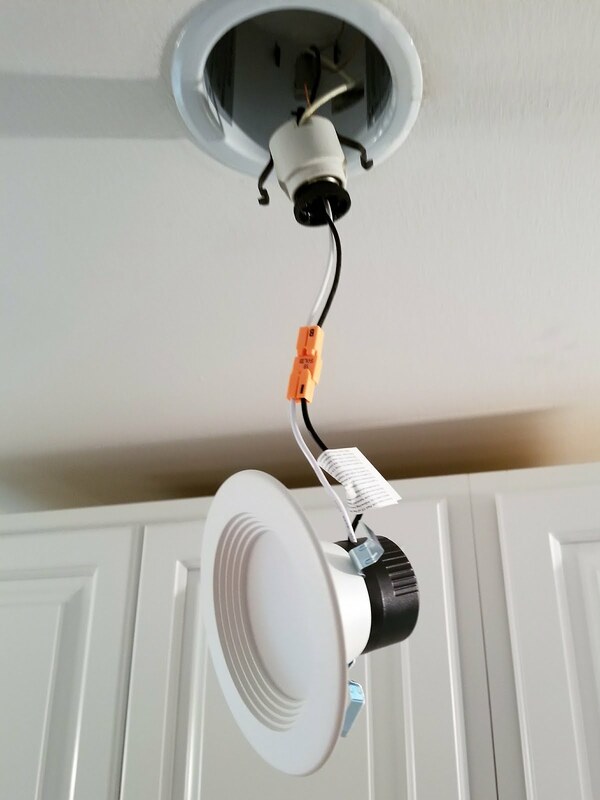 Now you're ready to actually switch the light fixtures. 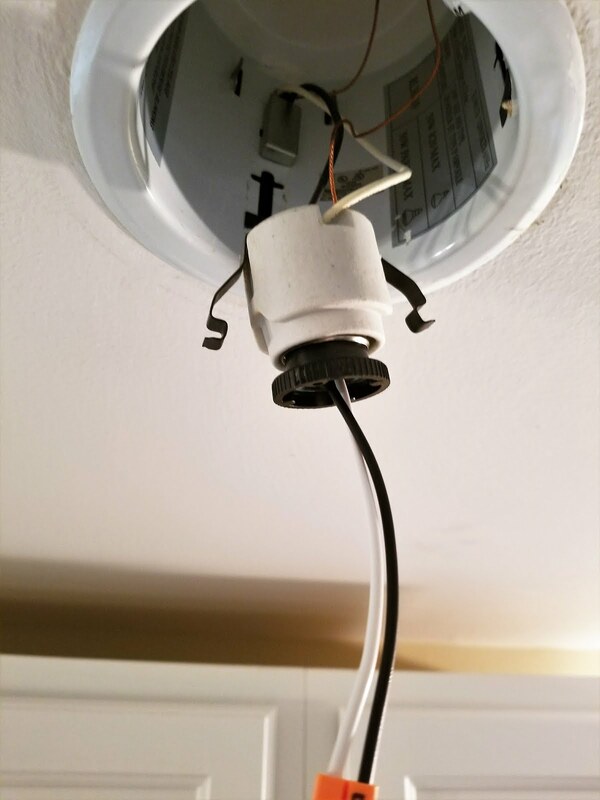 Next step is to remove the old light. For our lights I just had to get a grip on the trim of the existing fixture and then tug on it a bit. It can feel like you're pulling on the lights too hard but they're just held in place by some metal spring type things. Once you're done it should look like this. 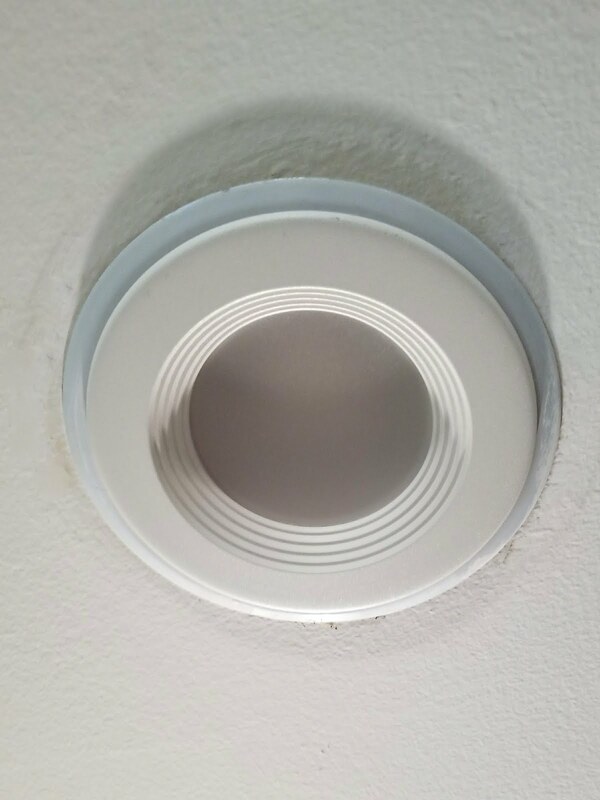 Up next, take the portion of the new retrofit lights that looks like the bottom of a light bulb and then screw it into the socket. 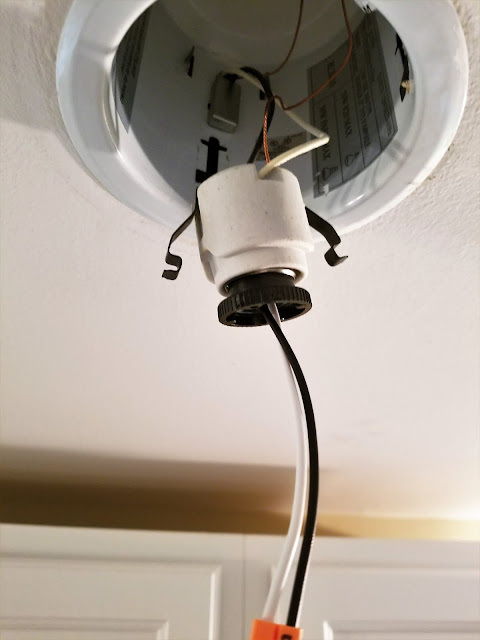 Now all you have to do is tuck the socket and wires up into the opening in the ceiling. 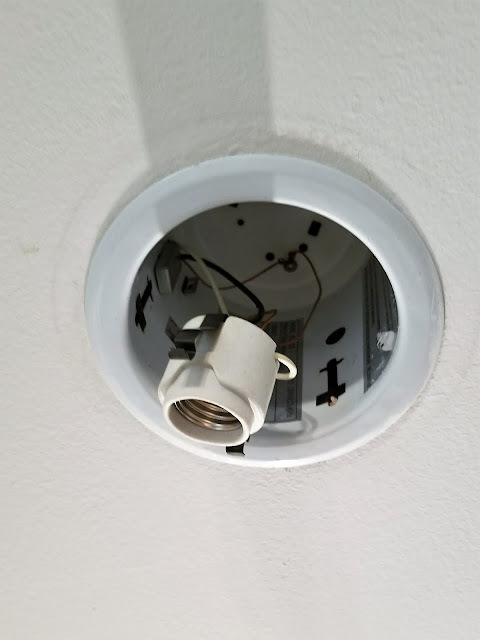 Once everything is in place, push the light into the housing. Again, there are friction clips that hold the light into place so just push it into place and make sure it's snug and not moving around. That's it! 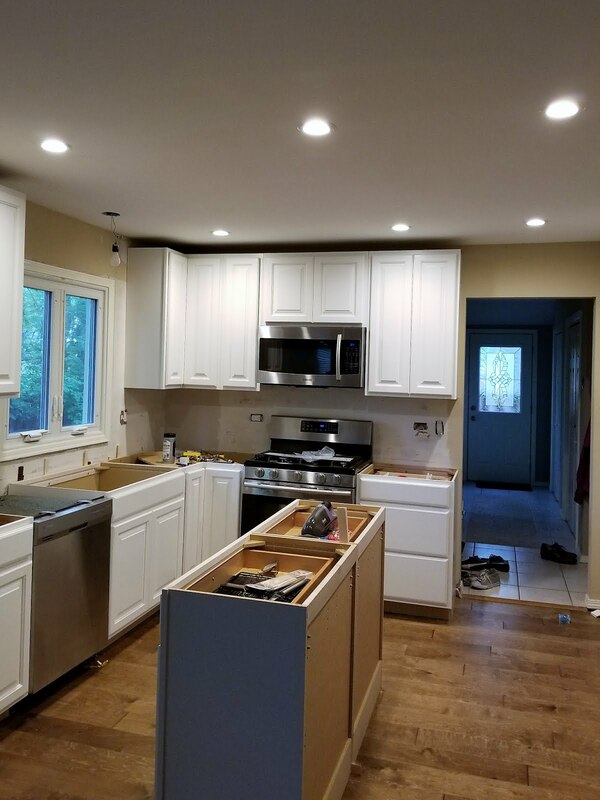 Once you get all the lights in place, you can turn the breaker back on and admire your handy work. 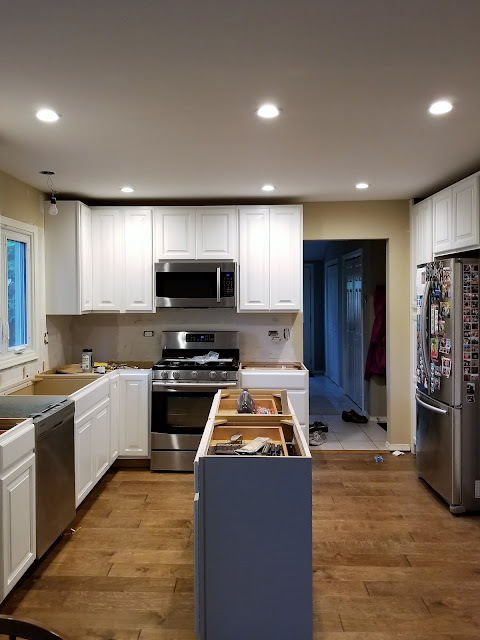 I love how the lighting looks in the kitchen now. And since the new lights are LED we shouldn't have to change them while we're still living here. :) Being so close to the ceiling did make me realize that it probably needs to be painted sooner rather than later...that's thrilling news. If you're in the market for some updated recessed lights I'd encourage you to check these out, and let me know! Hope you liked this little tutorial today! Enjoy the rest of the week friends!